For Andy Duncan this meant working a number of jobs: paymaster for the Forestry Commission at Mount Cole; Secretary-Librarian of the Mechanics’ Institute Hall; Secretary of the Beaufort Thistle Club; Secretary of the Beaufort Cemetery Trust; and the town’s Registrar of Births and Deaths. In addition to his paid work, Andy was a committee member of the Ripon sub-branch of the Returned Soldiers’ League. ASK YOURSELF A QUESTION EVERY DAY. (1940, June 9), Sunday Times, Perth, p. 1. Newspaper article found in Trove reproduced courtesy of the National Library of Australia. With the advent of war, Andy seems to have carried out his various roles with increased determination and commitment. Nearing 60 years of age, Andy couldn’t fight, but he could ensure that his community stuck together while the 2nd Australian Imperial Force fought to stop the mad dog of Europe, as the Advocate put it. In January 1940 the Riponshire Advocate reported that the Thistle Club Boxing Day sports day was run by the capable and energetic secretary AS Duncan. This was unusual language for the newspaper. Other articles on Thistle Club events had simply stated, arrangements by AS Duncan. Was Andy noticeably more active? Or was the reporter alluding to Andy’s previous bouts of illness and hospitalisation? Perhaps both. Andy organised the Returned Soldier’s League annual smoke night, held in February. The night was an RSL meeting followed by smoking and drinking, with entertainment by a comedy duo from Melbourne. At the meeting, a question was raised regarding the guns on display at the local war memorial. The guns had not been maintained, and were now beyond repair. The local council, out of respect for the war veterans, sought the RSL’s view on what should happen to the guns. Andy was in fine form that night: “Melt them down and throw them back at the Germans”. It was recorded diplomatically that Andy had “moved that the guns be scrapped”. 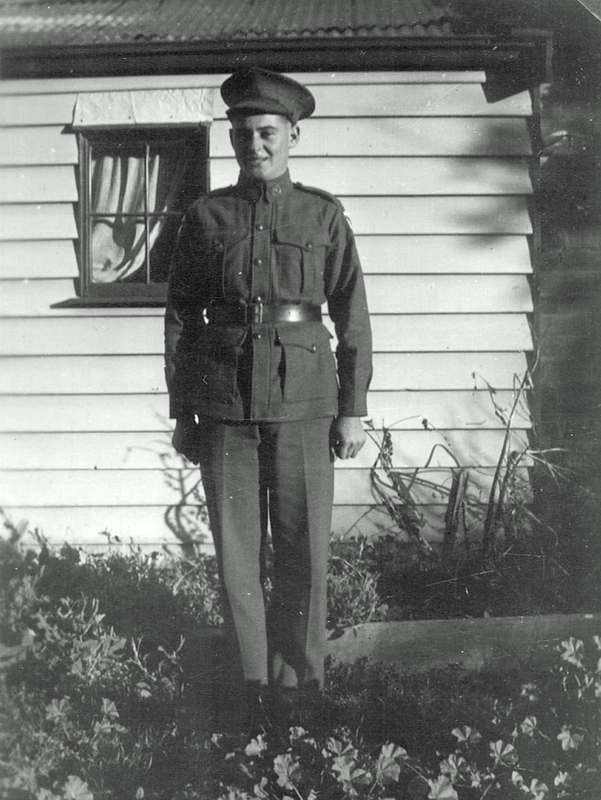 In March 1940 Andy was appointed RSL branch group leader for Beaufort, along with C. Rayner and R. Woodall. In July 1940 the Ripon sub-branch of the RSL formed a local unit of the War Veterans’ Defence Corps, with Andy as Adjutant. He also took on a subcommittee role organising morale-boosters and fundraisers, such as cards nights and dances. Andy seems to have stepped down from his Secretary-Librarian role at the Mechanics’ Institute to focus on his Veterans’ Defence Corps duties. R. Woodall became new Secretary-Librarian, perhaps on a good word from Andy. WIN-THE-WAR RALLY. (1940, July 5), Sunshine Advocate, Victoria, p.1. Newspaper article found in Trove reproduced courtesy of the National Library of Australia. A number of Win the War rallies were held around Beaufort in the first half of 1940. Andy would have represented the RSL at many of these. In July the Beaufort Town Band played at one rally. It is likely that Andy and Jane’s daughter Rene played in the band at this event. Maintaining this level of activity took its toll on Andy. By September 1940 he was quite ill. He spent all November undergoing treatment at the Caulfield Military Hospital in Melbourne. Andy returned to Beaufort in time to coordinate the Thistle Club Boxing Day dance, but he had to manage his health more carefully. He soon resigned his role as Adjutant in the Veterans’ Defence Corps. Jane was appointed Acting Registrar Births and Deaths, backdated to October the previous year, to cover Andy’s absences. Featured image: Mechanics’ Institute Hall, Beaufort, 2015. From the author’s collection. Copyright Andrew Palmer.